Part mystery, part magical, Remembering Olympus is a story of ‘life after life’, tangled destinies, and the creative power of love and jealousy. Aaron Payne is a typical urban professional running away from his impoverished past. Intelligent and pragmatic, he rises above grocery budgets and the low expectations of his peers only to find himself buried in corporate middle management. Seemingly by coincidence, he meets Miranda Reed, a beautiful gentrified heiress. Unwavering in his plan to gain social respectability, he carves a niche for himself among the very wealthy only to have it unexpectedly taken away. Psychologically traumatized, he is thrown into a crisis of identity where he begins to remember improbable things about his true nature. When he crosses paths with Claire Vinson, an enigmatic publisher, both become entangled in an ensuing mystery as Aaron begins to remember pieces of another existence that will pull him into a maze of shifting time and past lives. In pursuit of ‘who he is’, Aaron makes questionable choices setting off a string of dangerous events that threaten the destiny of those around him as he adjusts to his new ‘self’. Prophetic in tone, Remembering Olympus is a mystical revelation that peels back the layers of certainty, challenges perceptions of reality, and gets to the question. Are humans more than mere mortals? 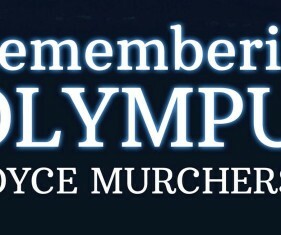 Read a free excerpt of Remembering Olympus here.